In the beginning, the man was not made for sedentary habits. The man was born to run. To move about because by staying in one spot, we were a perfect target for predators. We had to move. We needed to move for survival, so this is a guide for us to follow to recreate the lives our ancestors had lived thousands of years ago. This 5-step guide is simple, repeat these narratives, and your fitness will only become more and more a part of who you are, for all the right reasons. When we couldn’t go to the market, food had to be found. This means we were not always ready to eat. Not readily available to shove cookies down our mouths. So, we had to fast. We had to go without food for hours, even days at a time. This allows for the body to get in a state of Autophagy (Controlled cell death). Sounds scary, but it is our own personal vacuum cleaner. 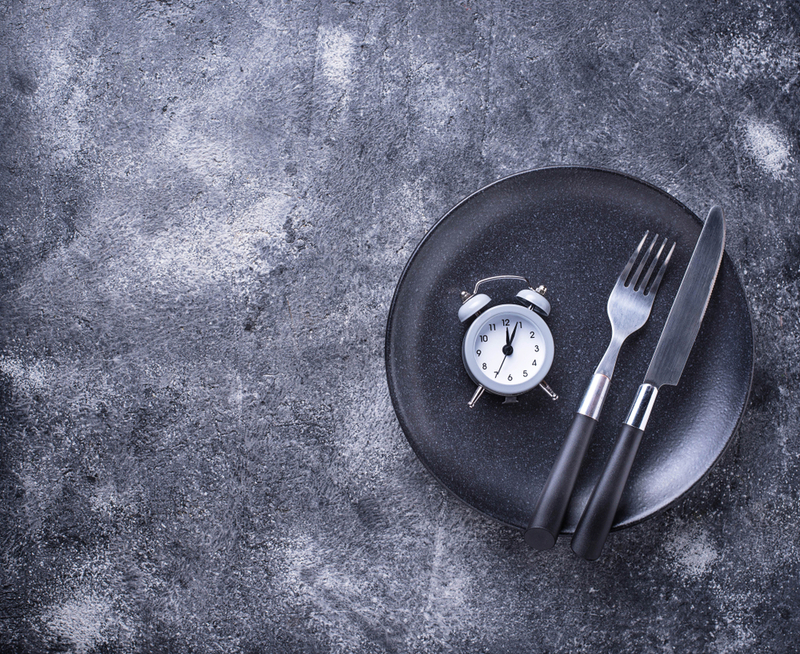 Fasting is not bad, as long as you are supplementing and eating what should be consumed. The desired range for optimal performance is 14-16 hours of not eating. You already sleep 8, so your first meal should be around Noon or whenever that time is set with your sleep schedule. What? Can’t I have carbs? How am I supposed to have any energy to do anything in my day? No bread. No problem. No pasta? No problem. No potatoes? No problem. The list goes on and on, and I’m telling you, it is okay to exit this source from your life. We will never be completely void of carbs, but the limited nature of consumption will radically reshape your mind and your bodies main source of fuel. Our main source of fuel has always not been carbohydrates. This changed once humans started growing wheat about 8000 years ago. Once wheat was grown, we became mass consumers of this. We stayed stationary; we were able to live off the land and not have to move about for meat and fruit. So, why no carbs? What is the big deal? Carbs turn into sugar, which turns into a higher insulin level. So, by limiting carbs, you are in turn making your body use its fat stores for energy. To follow this lifestyle, one must be informed of the proper foods to eat once the body is limited by its old love. First things first, cut out the sugar, cut out the carbs and reap the rewards of a new body. Most of the time, we equate muscles, fitness, and a better body with the weight room. What if I told you that was just an idea that you could choose to try? It is not the desired way for all individuals who look to live the fit life. Options are out there, I’ll give you one option that I have recently implemented to help me. The ultimate strength training/mind training exercise. If you think weights and the environment of the weight room is too much, give this a try. What Yoga does for your bodies pliability and mental fortitude isn’t matched with much else. A simple thirty-minute yoga session will have you struggling, sweating, and breathing like an overweight sprinter. This is not to scare you, but it will push you. The thing about Yoga much like every other activity, it Is a game of levels. Some people are at higher levels, some people are like you, beginners. So, push to only what is necessary. This is one of the most underutilized forms of fitness by people who make that initial start to the fit life. Meal prepping will be the difference you will need to see max results. When you start working out, results seem slow. Motivation is high, but when you don’t see results, it can send one back to the habits they had prior. By cooking meals for the week at one time (Meal Prepping), you will be able to accommodate the best body necessary combined with the workouts. 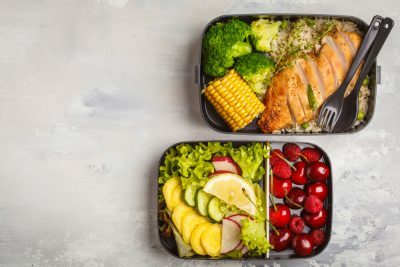 In order to provide oneself the best body possible, you need to not only push it in your workouts, but the most imperative solution is to put the right food in you. So, what is the right food? How do I meal prep? Here are a few quick steps to try. This deserves more than just examples. Here are a few before I break it down. – Avocados, Cashews, Peanut Butter, Almond Butter, Almonds, MCT Oil, Avocado Oil, healthy grass-fed butter, etc. The reason behind the healthy fats is because, without the source of carbs, your body will utilize your fat stores as explained above. So, by eating a healthy fat with each meal, you’re giving your body what it is needing, that proper fuel source combined with healthy vegetables to supplement other nutritional needs. All this information can be daunting, but I promise you it will make you into a better acting human. You will have more energy, more desire, more drive to be better. Here is where I’ll leave it all on the table. Start off by segmenting your workout at the same time each day if possible. That way you are used and needing that form of exercise at the same time. Once you can establish that routine, you need to make a list of the food you should eat, throw out your carbs. Follow the list I provided, and I see no reason to count macros unless you are competing (Macros = Protein, Fats, Carbs, Sugars). You’re going to need to eat more than normal at one time if you are fasting. So, fill that plate up with quality foods, no need to wonder about the amount. If your body is fueling itself with good food, no need to make your head go wild with a Macro count. So, eat well, train well and reap the rewards. Start small and set up the routine. Buy the food, follow the protocols and be your own experiment. This lifestyle does not have to be too much; it should be so simple we question why it works so well. Albert Einstein once said, “If you can’t explain it simply, you don’t understand it enough.” The same thing works here. Go ahead people, try something new, love yourself like it needs to be loved.